New Frosty Montgomery’s in Store! 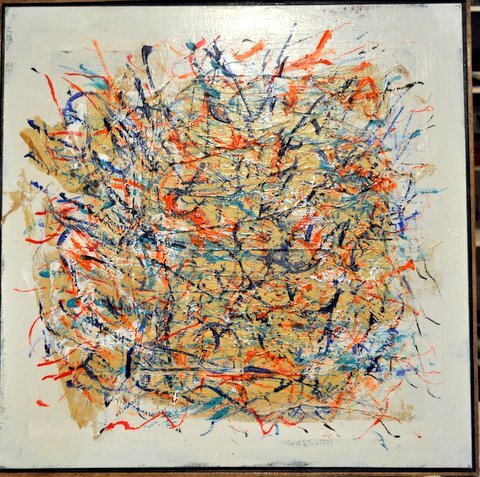 Local artist, Frosty Montgomery, is bringing more of her quirky-fantastic-fabulous-amazing-genius abstracts to Clutter! Frosty has such a unique aesthetic and we are big old fans! If you’re in the market for some great art (local or otherwise), or just want to get inspired by some of her fab pieces, come see for yourself at Clutter! We are proud owners of several Frosty originals in our homes, and beyond happy to showcase her wares in store! Prev Post: Obsessions of the Week. Next Post: Clutter Does Dining Room.